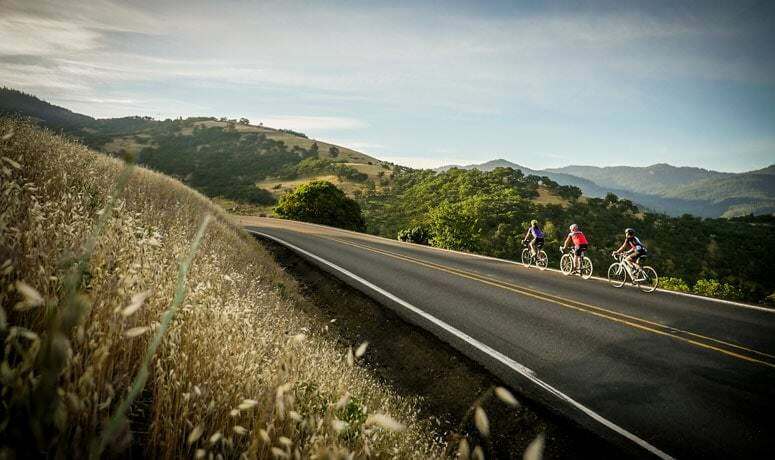 The only thing prettier than seeing Ashland as you stroll through its downtown is seeing the city nestled in its valley from far above – a view you can earn by riding the Cascade Siskiyou Scenic Bikeway. This challenging but stunning route incorporates 5,000 feet of steep and winding climbing through oak savannah into fir forests, showcasing the ecologically diverse ecosystem of the region. The 55-mile ride starts and ends in Ashland, a town that’s deservedly famous for its theater productions, but also offers fantastic dining, good local beer and a thriving arts scene. 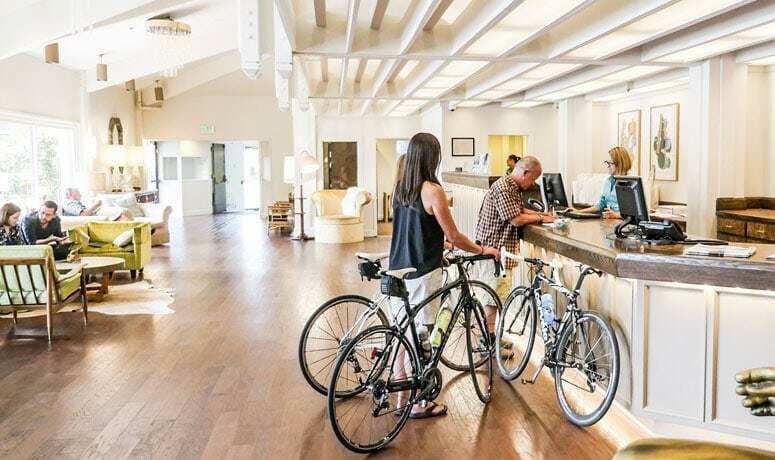 With plenty of lodging options and a picturesque downtown core, Ashland is an ideal base camp for any number of outdoor recreation opportunities. 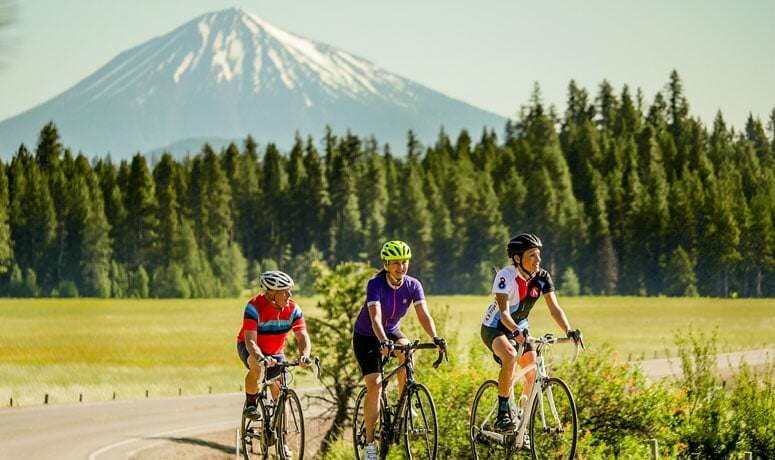 But you’re looking to ride – and this is a highly memorable trip, through a region so ecologically significant that 62,000 acres of it is designated as the Cascade-Siskiyou National Monument. The route – which is only signed in a counter-clockwise direction, because that’s the safer way to ride it – climbs from the valley floor out past the recreation paradise of Emigrant Lake and into oak-dotted mountainsides that deliver spectacular views of the Bear Creek Valley below. You’ll also see Pilot Rock, a 25-million-year-old volcanic plug, standing sentinel over the valley. In spring, wildflowers cover this savannah ecosystem as red-tailed hawks soar overhead. Above the oak savannah, the Bikeway enters the Cascades ecosystem; you’ll enjoy the shade of tall pines and Douglas firs as you wind your way up to the 4,551-foot Green Springs Summit. The road snakes along the contours of a west-facing slope, providing repeated glimpses of the valley and city below. At the summit, you can opt for a 5-mile out-and-back to historic Tub Springs State Wayside, where you can fill water bottles from a cold, pure mountain spring, just as emigrants traveling the Applegate Trail did in the 1800s. 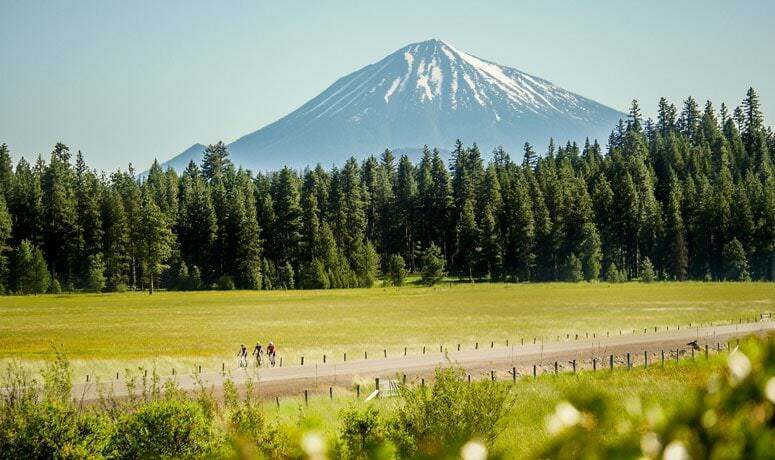 Near Hyatt Reservoir you’ll see views of 9,000-foot Mount McLoughlin, with glimpses of osprey and bald eagles nesting. 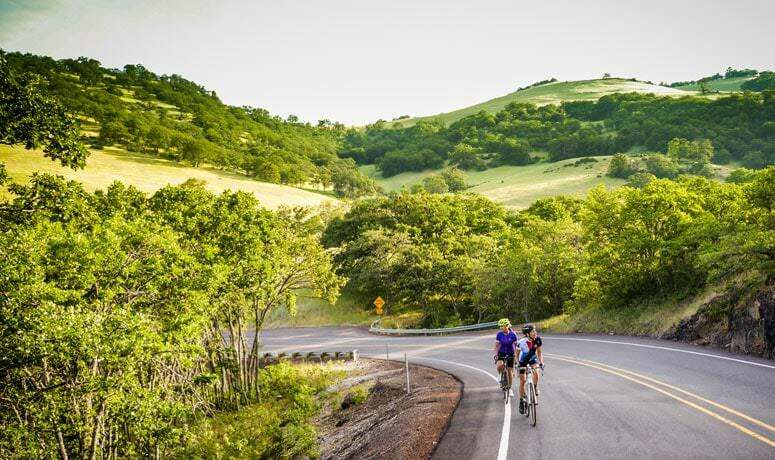 Just when you think the climbing is over, you’ll tackle one final 3-mile climb through the wildflower-covered alpine meadows of Lily Glen and Buck Prairie before a thrilling, winding 13-mile descent back to Ashland, where all manner of rewards await you for taking on this challenge. Bike campers can plan a two-day adventure by staying at one of several campgrounds near Hyatt Reservoir or Howard Prairie Lake. A popular locals’ variation is to ride the 3,000 feet up to Green Springs Inn for brunch and return to the town the same way, a 35-mile ride. 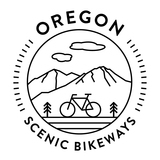 Find more to see and do near this Scenic Bikeway at Ashland Chamber and Travel Southern Oregon. In addition to visiting TripCheck.com, please contact Jackson County at (541)774-6231 and ODOT District 3 at (541)774-6355 for current information about road conditions.